The Tyler Gardens were constructed in 1931 by George F. and Stella Elkins Tyler to provide a formal landscape setting for their mansion, Council Rock. 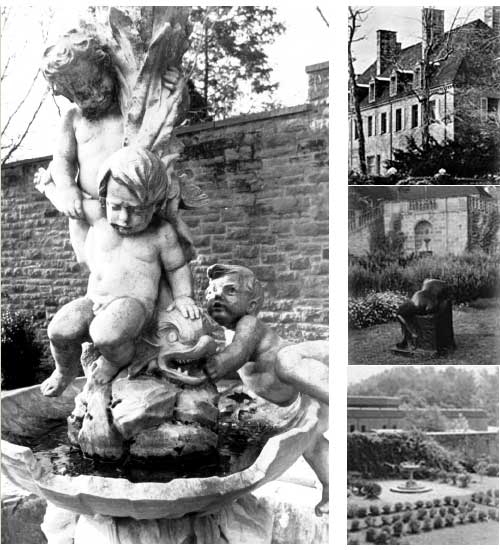 The gardens clearly demonstrate characteristics that were common in formal gardens in the Philadelphia area in early twentieth-century. Tyler Formal Gardens are divided into levels and compartments, separated by stone walls and shrubs, and feature an espalier, sodded lawns, water fountains, gravel pathways and bronze sculpture.